Even as Mumbai’s teenybopper population was drowning in Beiber-sized disappointment, my super-filmi week delighted in a breathtaking journey to Amazon, Satyajit Ray’s fabulous use of fantasy to condemn fascism and Shah Rukh Khan’s gift of enthralling oratory. I am browsing through pictures of Kangana Ranaut’s pleasant-looking apartment featured in this month’s issue of Architectural Digest. Love the cheerful hues of her doors but it lacks that wow factor one expects from celebrity abodes. Especially Kangana, everything about the Queen star — her films, her opinions, her fashion — is so individualistic, I guess I expected her home to be an extension of her uniqueness. Something I found to be in abundance inside Irrfan Khan’s artistic pad when the magazine specialising in interior decors took its private tour not too long ago. Columbia-born architect Juan Montoya once said, ‘A room should never allow the eye to settle in one place. It should smile at you and create a fantasy.’ The Piku actor’s sanctuary achieves just that. Spacious, stylish, warm, dramatic, wondrous and inviting in its aesthetics, it’s everything a creative soul would want to return to after playing an overambitious owner of a dinosaur park gone haywire or a middle-aged office clerk corresponding with a disenchanted housewife. 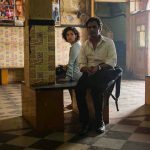 Thanks to MAMI Film Club’s year round programme, Mumbai’s dedicated cinephiles can now enjoy cinematic treats throughout the year. All you have to do is go to their website and register. 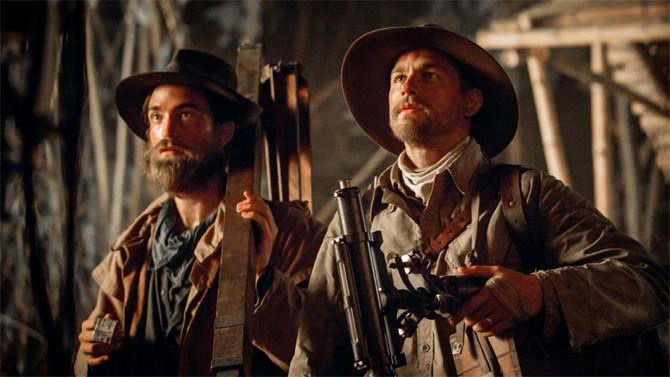 After the award-winning Congolese drama Félicité, it’s time to make a trip inside The Lost City of Z featuring a charismatic Charlie Hunnam, unrecognisable Robert Pattinson and strong-willed Sienna Miller. Adapting David Grann’s book of the same name for screen, director James Gray evokes the joys of old-school filmmaking — one that places soul above spectacle and slows down to reflect on the sensory, lyrical attributes of nature and uncharted destinations. One of the best (and best-looking) films I’ve seen this year, Gray paints a compelling portrait of the real-life British explorer Lieut Col Percy Fawcett and his life-altering experiences in the Amazon jungle. The journey to discovery and glory is arduous and long but Hunnam’s consummate instincts and Gray’s intelligent vision in understanding the philosophy and practicality behind such aspirations makes The Lost City of Z achingly beautiful. 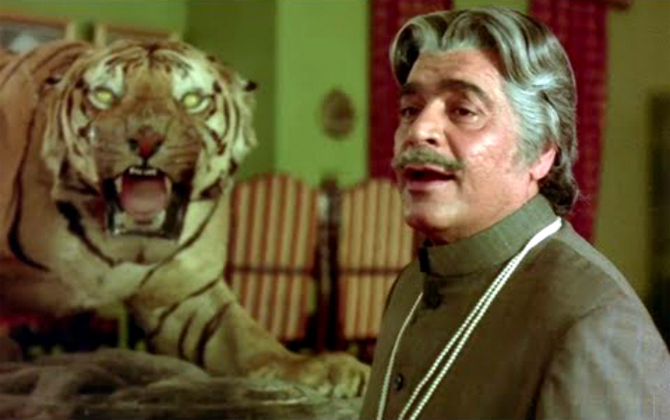 Random thought of the day: Bollywood’s love for tiger props comes in Papa, Mama and Baby sizes. Who would Goldilocks pick? 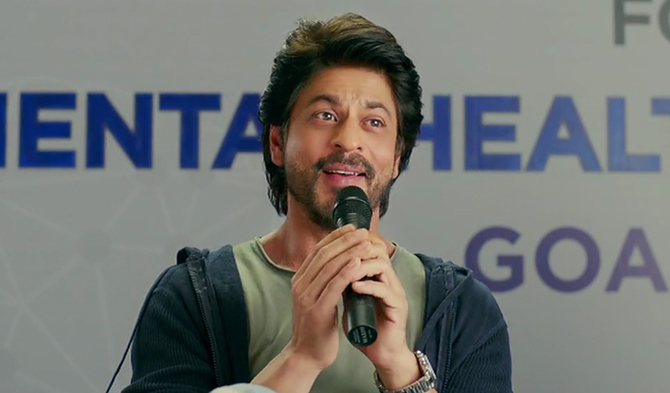 Shah Rukh Khan’s heart-warming speech at the TED Talk is yet another shining example of his free-flowing eloquence. His words are an intelligent mix of care and carefree, they convey humour, wisdom and an honesty that isn’t out of touch with rapidly changing reality and hopes to conserve humanity at all costs. It’s not the first time the superstar who claims to ‘sell dreams’ and ‘peddle love to millions of people’ has connected emotionally to his listeners. Yale campus, chat shows, intellectual forums, interviews and, of course, movies, the master of feel-good has chanelled his innate optimism and good sense to advocate ‘ache logon ke saath acha hota hai,’ pursue ‘mushkil raasta’ over ‘aasan raasta’ and reveal the key to ‘genius’ in ways that make King Khan far more valuable than a box office estimate will ever understand. The prospect of seeing Parineeti Chopra on screen is filled with promise. But Meri Pyaari Bindu, which is her first big release in a long time, is disappointing in more ways than one. Also, Meri Pyaari Bindu celebrates its titutar protagonist ‘as some sort of a free-spirited bohemian when she’s really this unlikable, untrustworthy, selfish, vain, flighty opportunist’ sweet-talking bestie Ayushmann Khuranna to fulfill her every whim. Agreed that she’s playing a point of view and allowed to be exaggerated. But it’s not like she’s made up. The deception served as his fiction and dumbing down passed off as her fact didn’t work for me at all. What better than Satyajit Ray’s enchanting Hirak Rajar Deshe to wash off Meri Pyaari Bindu‘s mannered Bangla impressions? 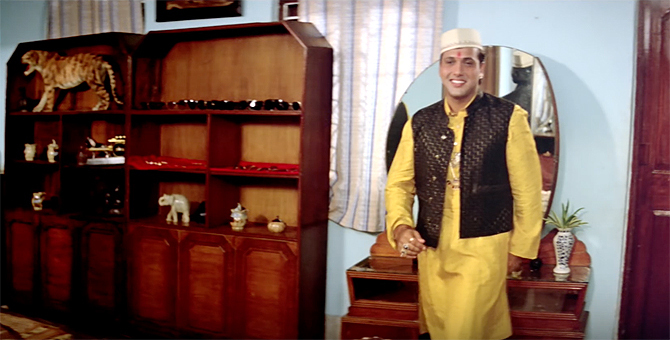 Like a lot of kids from my generation, Goopy Gyne Bagha Byne is my first brush with the auteur, which was shown along with his other illustrious creations as part of a retrospective aired on Doordarshan in the 1980s. It’s been so many years but I haven’t forgotten how much I enjoyed it. I had never seen anything like that before and I haven’t since. 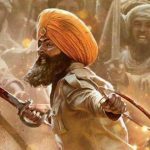 Embarrassingly though, for a very long time, I didn’t know Hirak Rajer Deshe is a sequel to one of my childhood favourites. 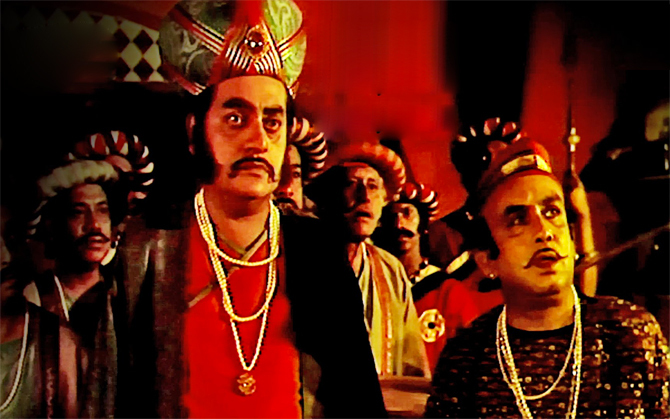 Released in 1980, the National-award winning fantasy resumes the tale of the mellifluous duo Goopy and Bagha’s magical adventures after they accept an invitation to visit Hirak Raja’s kingdom, famous for its diamond mines, and learn about his tyrant ways. Rich in shrewd metaphors and quirky imagination, it denounces the politics that enveloped India in the time of Emergency through its premise of an autocratic villain, played by a delightful Utpal Dutt, and his complete disregard for the freewill of his subjects. Hirak Rajar Deshe also stars the legendary Soumitra Chatterjee as the straitlaced schoolteacher but it’s Santosh Dutta’s eccentric, zonked ‘Gobeshok Gobochondro Gyanotirtho Gyanorotno Gyanambudhi Gyanochuramoni‘ scientist I adored to bits. Too bad I don’t know the language and have to rely on subtitles that can never come close to translating its sur or significance. It’s Mother’s Day! But in Bollywood, it’s always a Mother’s Day. At least that used to be the case when filmmakers couldn’t imagine a script where the Ma wasn’t the source of all its emotional heft. Like I pointed in my listicle about Hindi cinema’s various strains of Ma. And so it’s quite nice to see her contemporary face going viral in a sweet short film called Jai Mata Di. Directed by Running Shaadi writer Navjot Gulati and starring the mother-daughter duo of Supriya and Shriya Pilgaonkar, the film is a charming combination of heart and humour with a Golmaal-like twist that fits right in the emotional space of Doordarshan’s classic Katha Sagar episodes. This entry was posted in Columns & Reviews and tagged ayushmann khurrana, celebrity homes, hirak rajer deshe, irrfan khan, jai mata di, kangana ranaut, lost city of z, mami, meri pyaari bindu, mother's day, parineeti chopra, satyajit ray, sequel, shah rukh khan, super filmi week, TED talk, tigers. Bookmark the permalink.